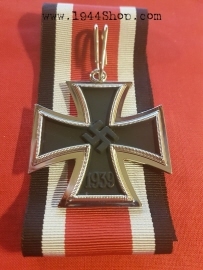 The Knight's Cross of the Iron Cross (German language: Ritterkreuz des Eisernen Kreuzes), or simply the Knight's Cross (Ritterkreuz) was a grade of the 1939 version of the Iron Cross (Eisernes Kreuz), which had been created in 1813. 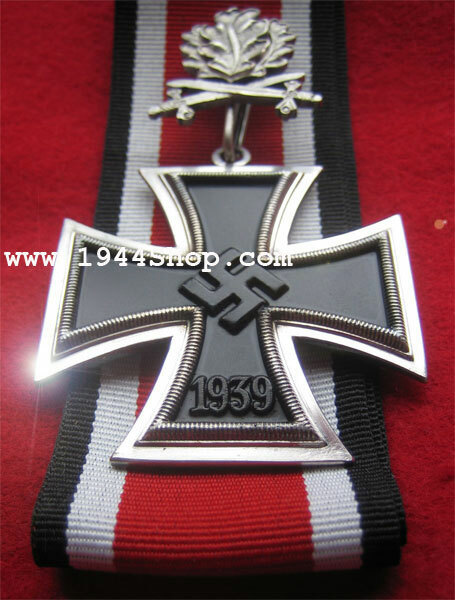 The Knight's Cross was the highest award made by Nazi Germany to recognize extreme battlefield bravery or outstanding military leadership during World War II. 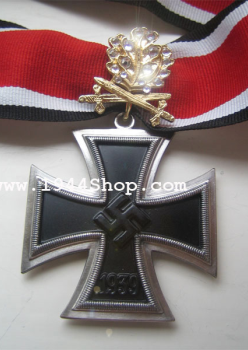 In the military orders of the Third Reich, it was second only to the Grand Cross of the Iron Cross (Großkreuz des Eisernen Kreuzes), an award that was given only once, to Nazi leader and Hitler's second-in-command Hermann Göring. 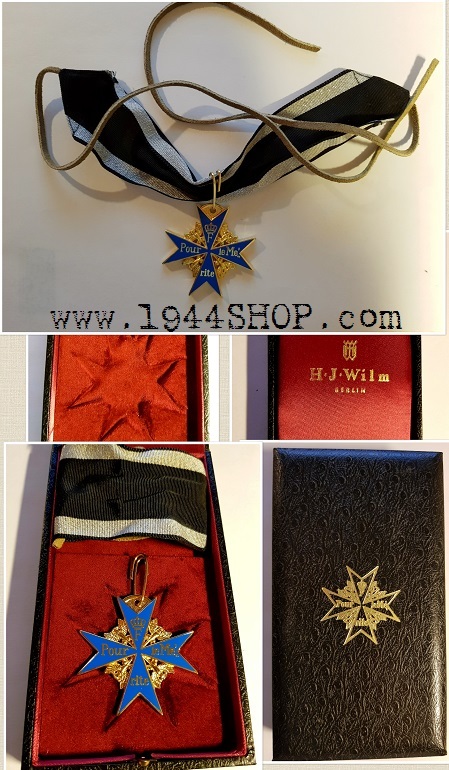 He was granted it as a result of his services in building up the Luftwaffe (the German air force), and for serving as its commander-in-chief. 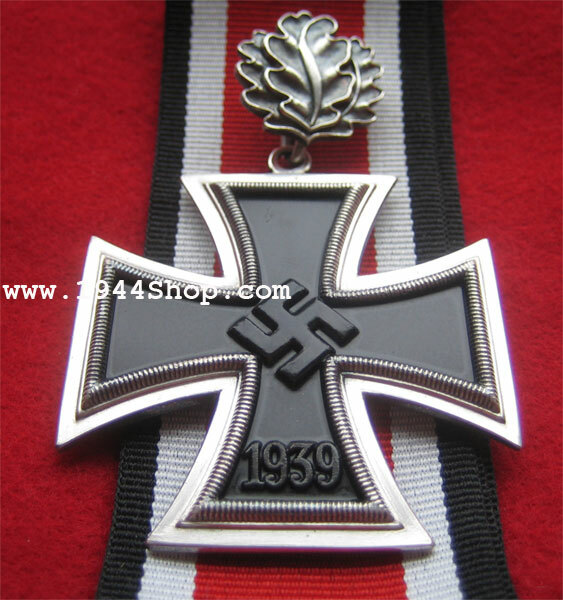 The Knight's Cross was therefore functionally the highest order that German military officers could obtain. 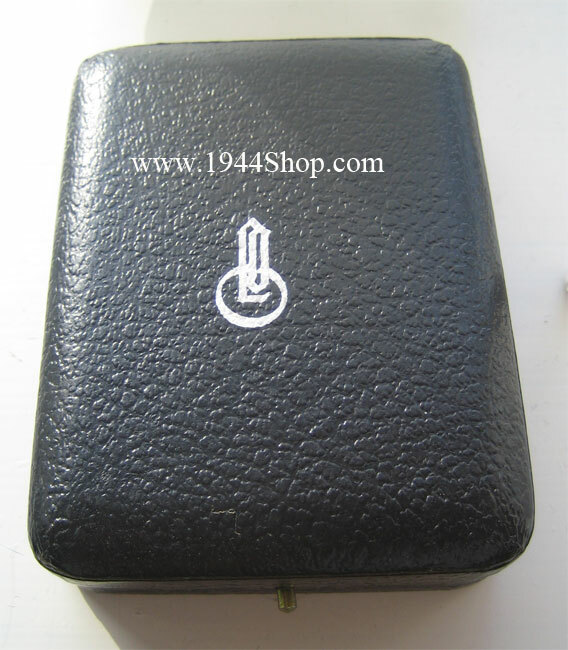 These are items often sold as "genuine", but these are produced after 1945, and more like very good museums-productions. 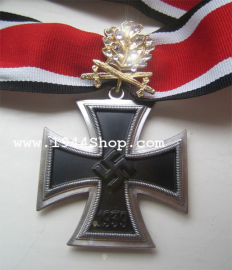 KNIGHTS CROSS in REAL Silver plating! 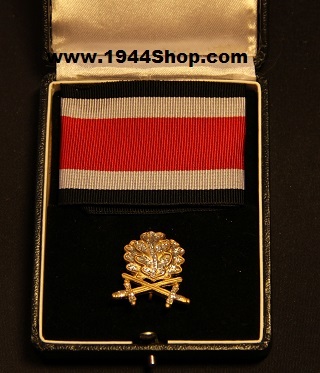 Frame in Real Silver Plating! 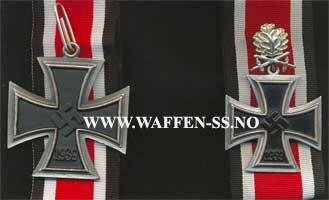 Very good museums-production with correct weight and size. Supplied with ribbon. 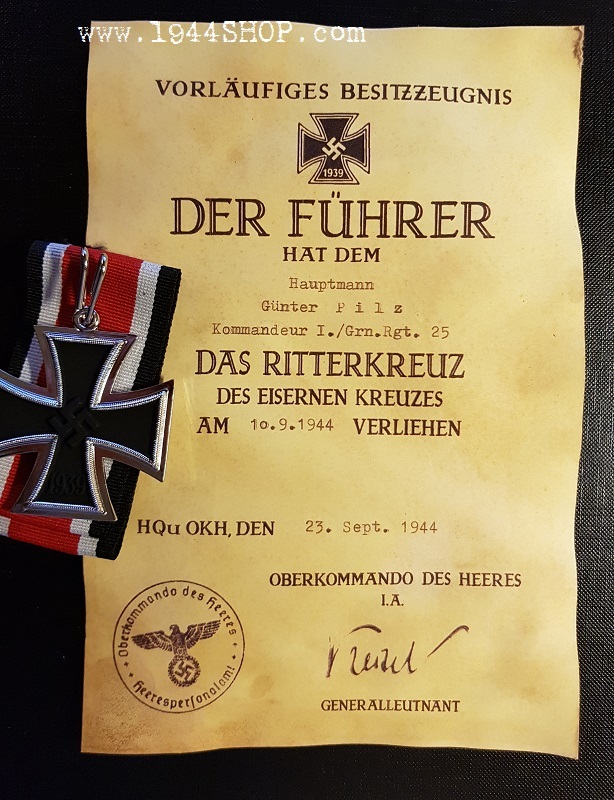 "Ritterkreuz des E.K. mit dem Eichenlaub in Gold mit Schwertern und Brillanten"
Very good museums-production with correct weight and size. 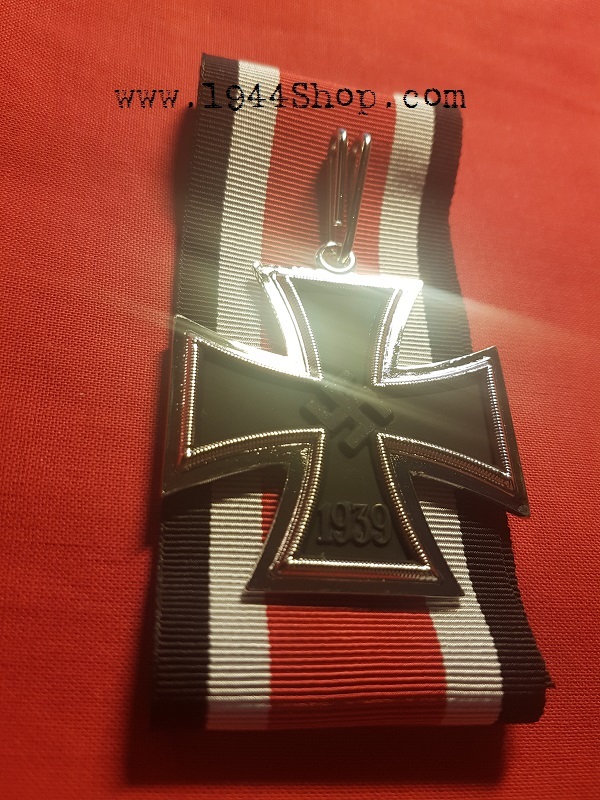 Supplied with ribbon. 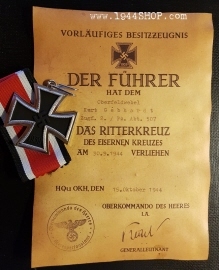 Marked "L/12". 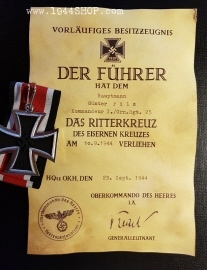 Presented by Hitler to Hans-Ulrich Rudel. 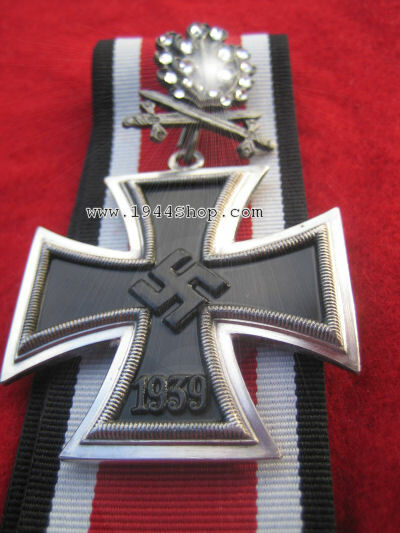 In gold with diamonds - apparently two or three examples exist. 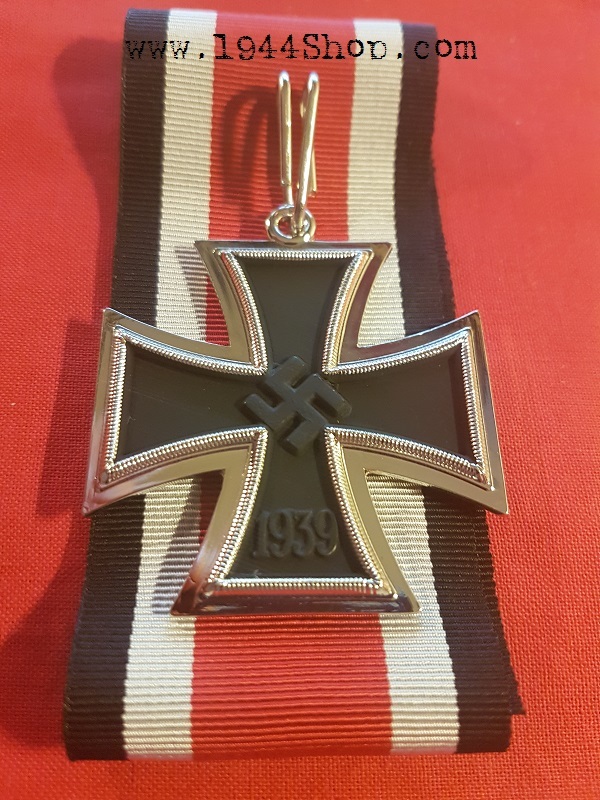 "Ritterkreuz des E.K. 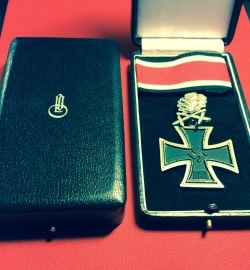 mit dem Eichenlaub mit Schwertern und Brillanten"
"Ritterkreuz des E.K. 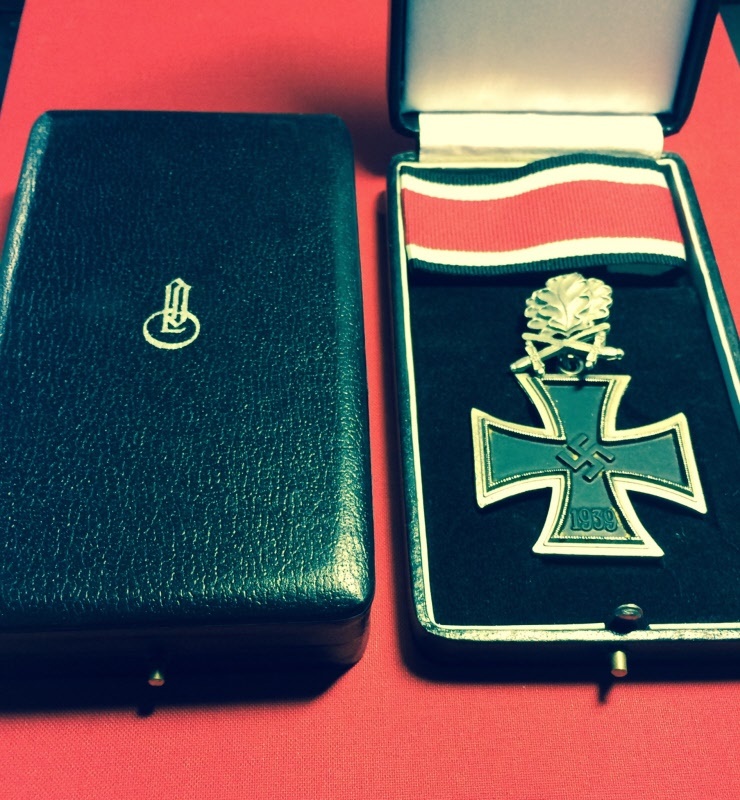 mit dem Eichenlaub mit Schwertern"
Oak Marked: "900" "L/50" "SILBER"
Golden Oak, Swords and Diamonds in Box! 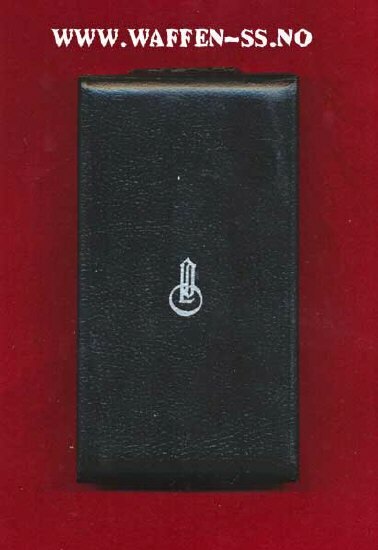 Hans-Ulrich Rudel Golden Oak, Swords and Diamonds box. Very good museums-production, nice and high details. 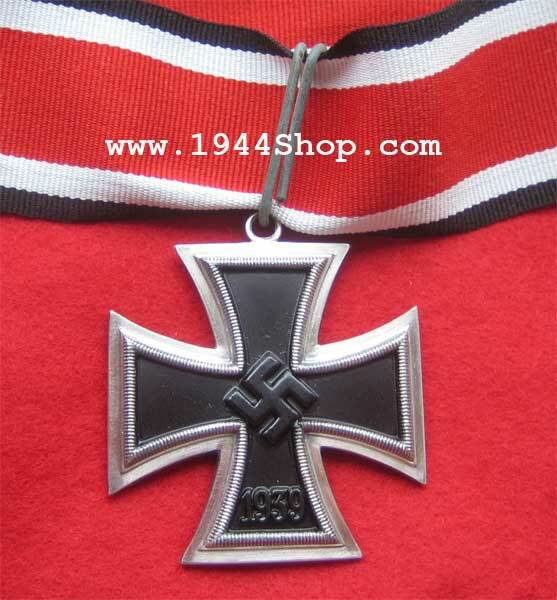 This medal is big...This Cross was awarded to H. Göring. 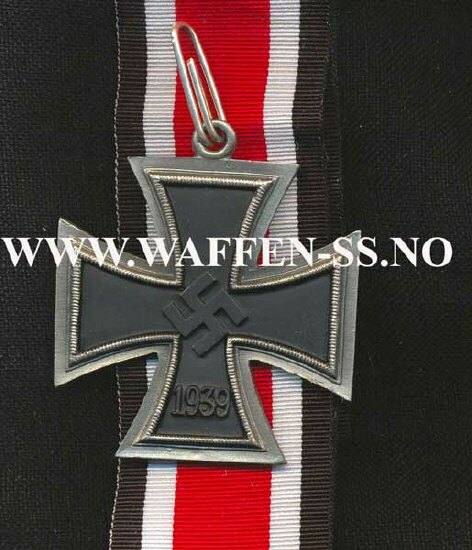 Supplied with ribbon. Please see "More images" below right!